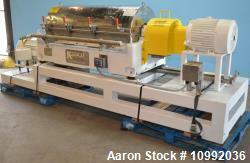 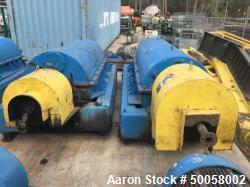 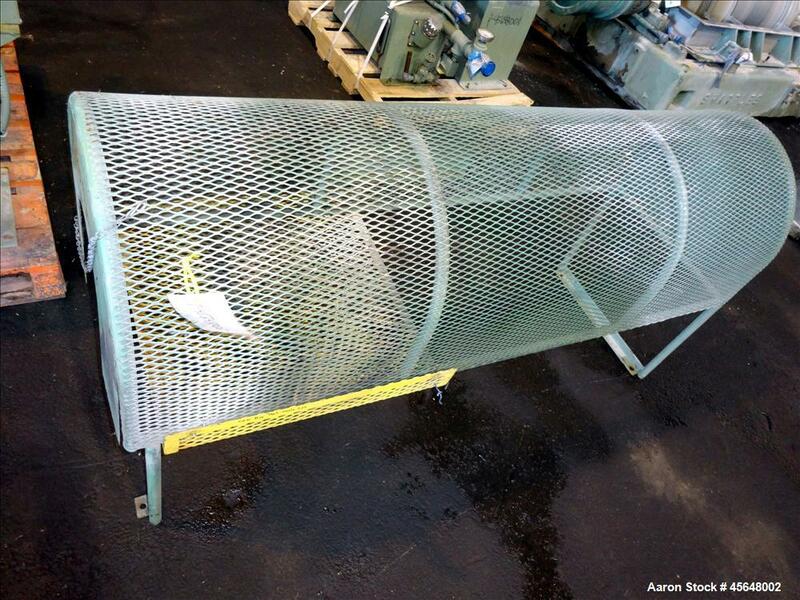 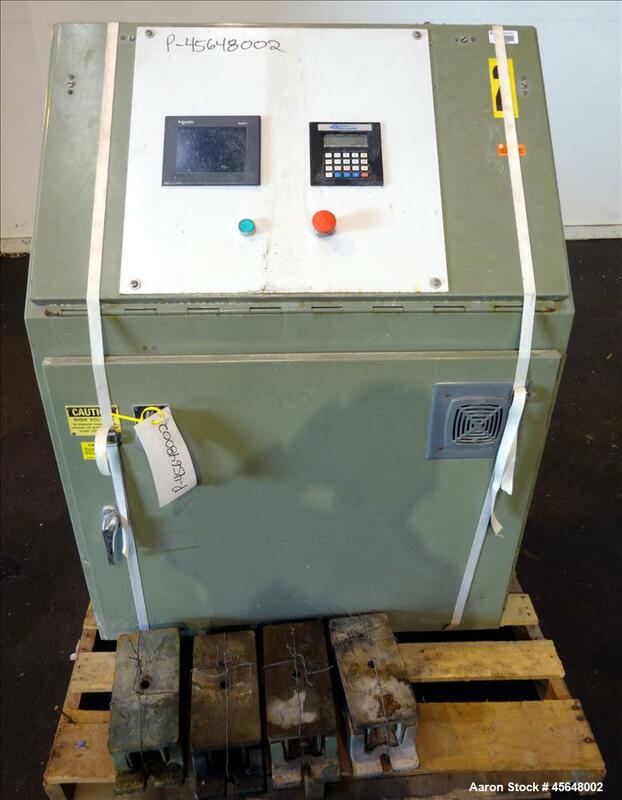 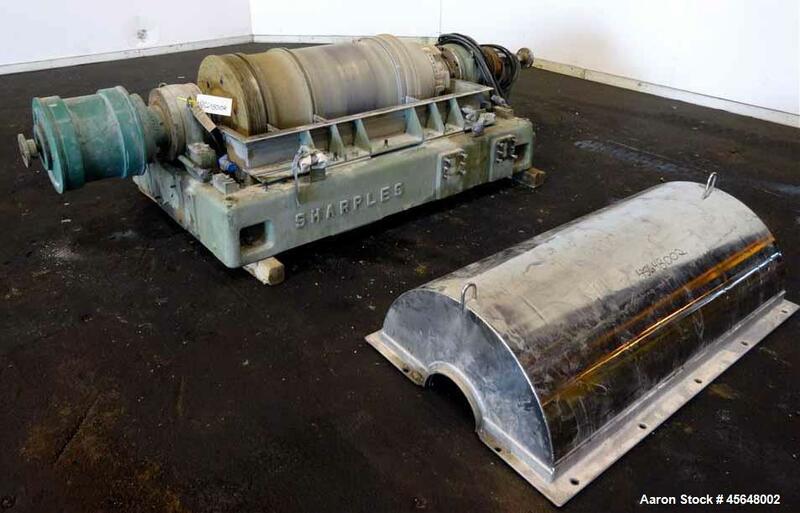 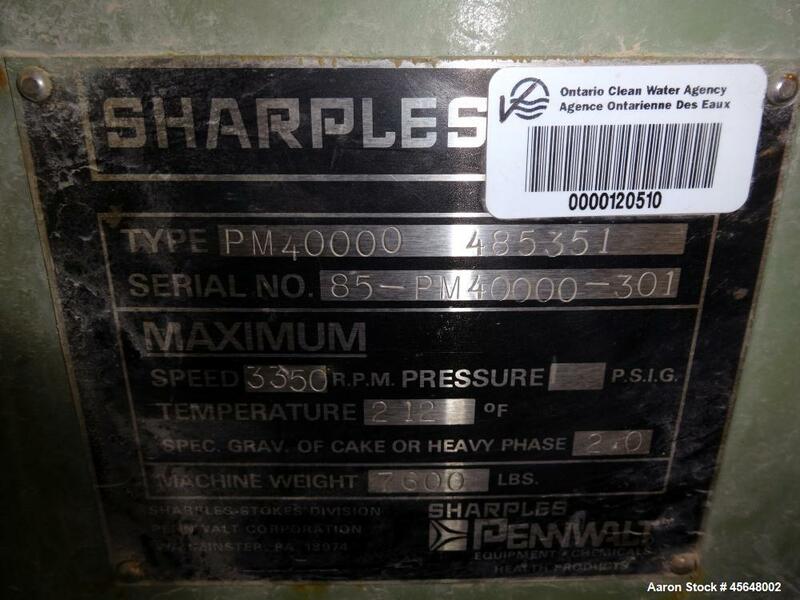 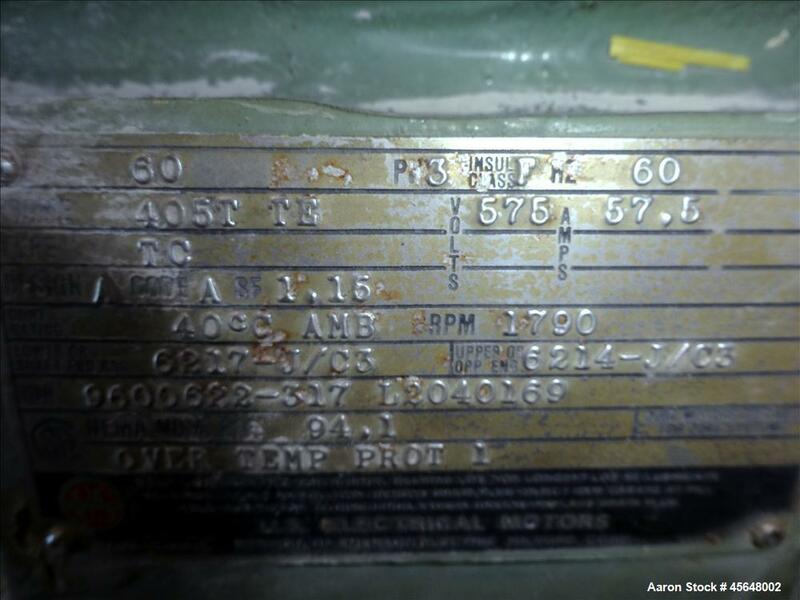 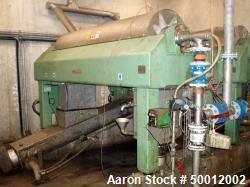 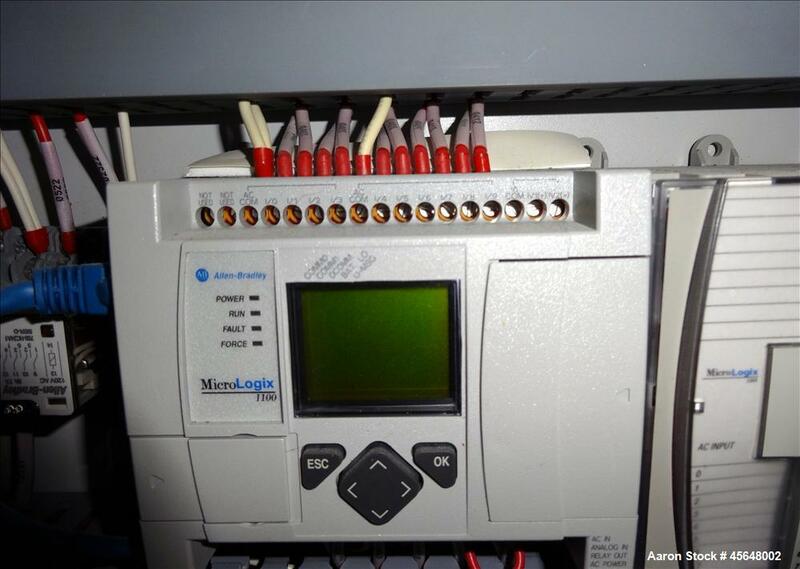 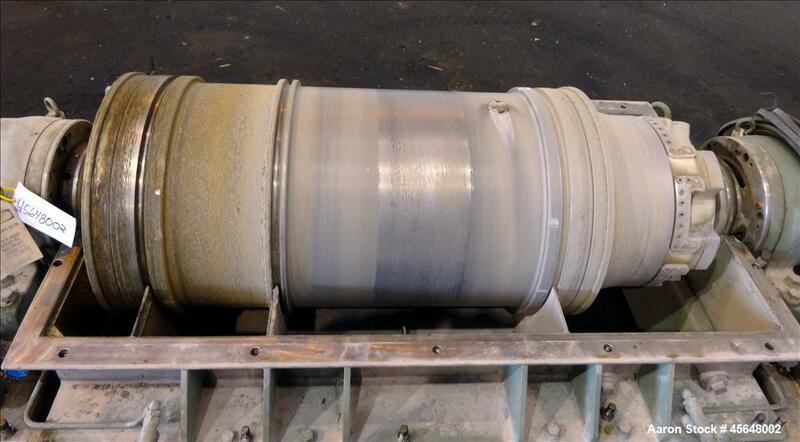 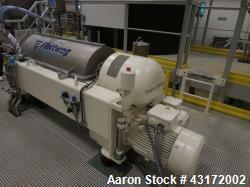 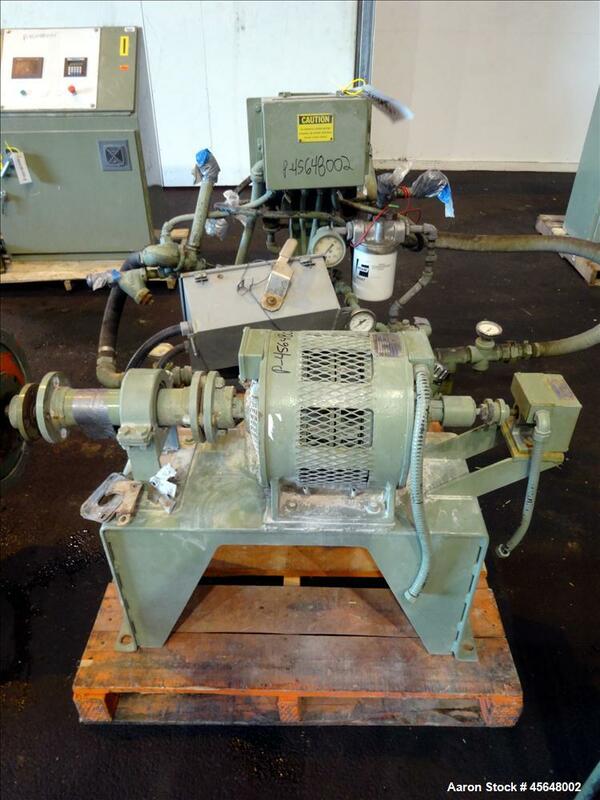 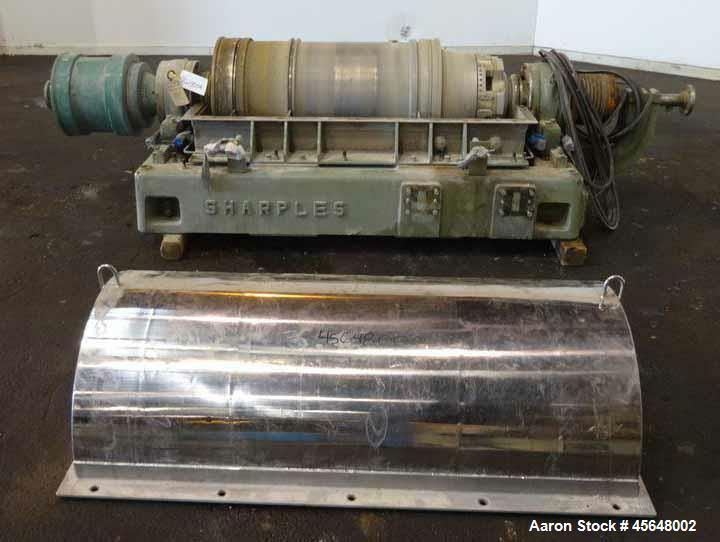 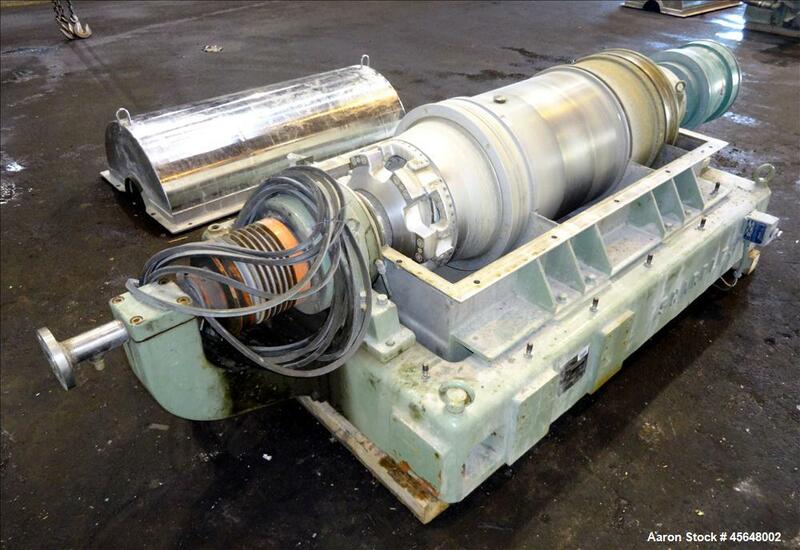 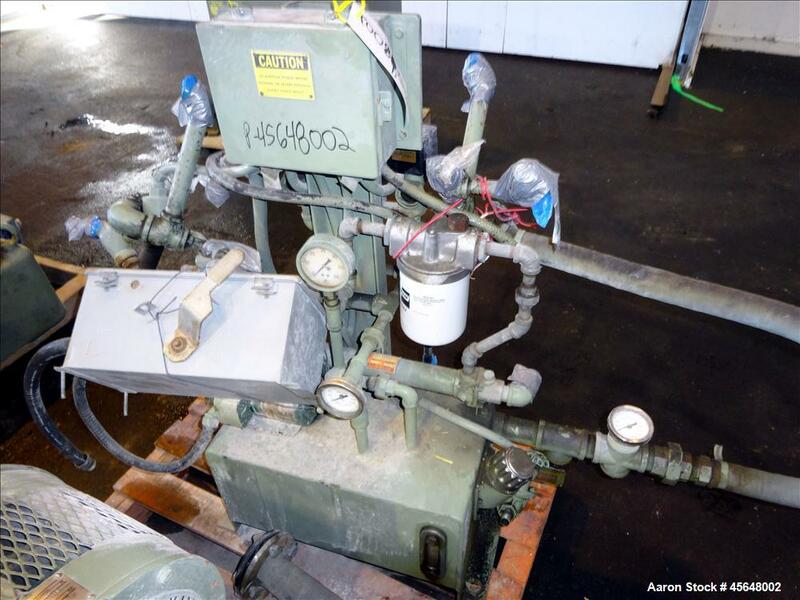 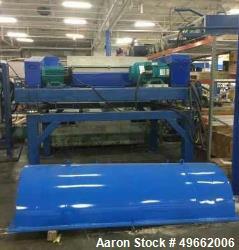 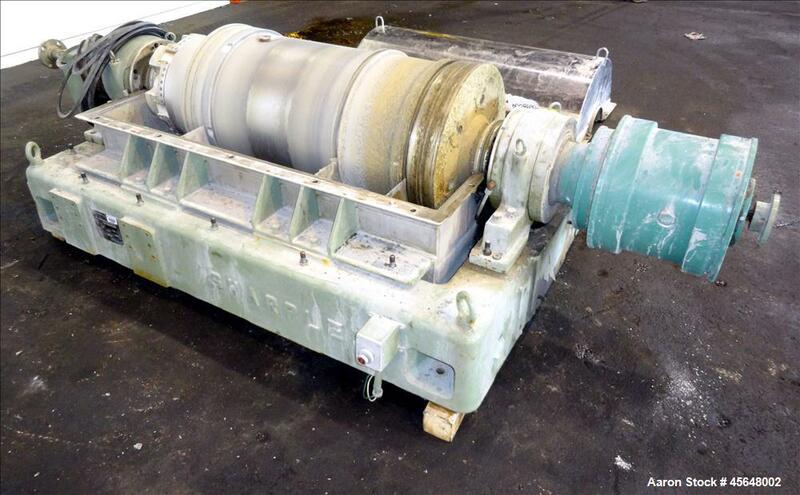 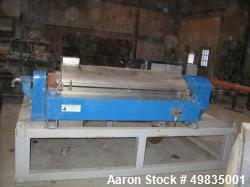 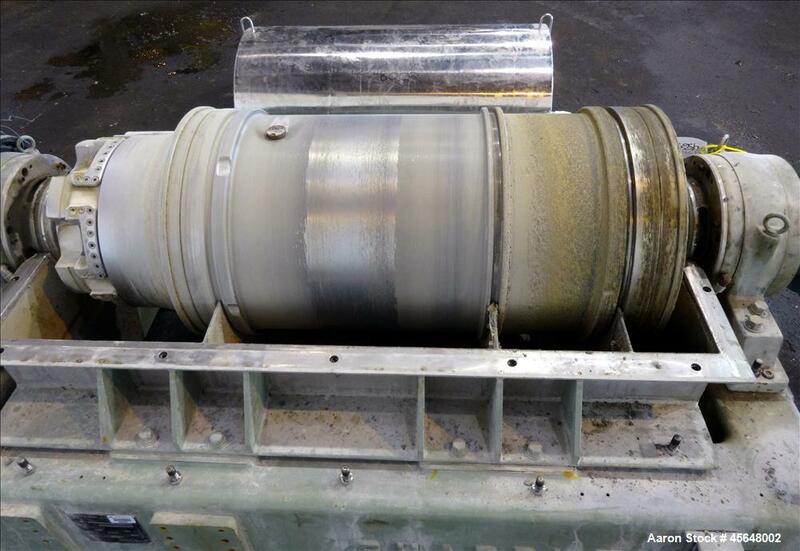 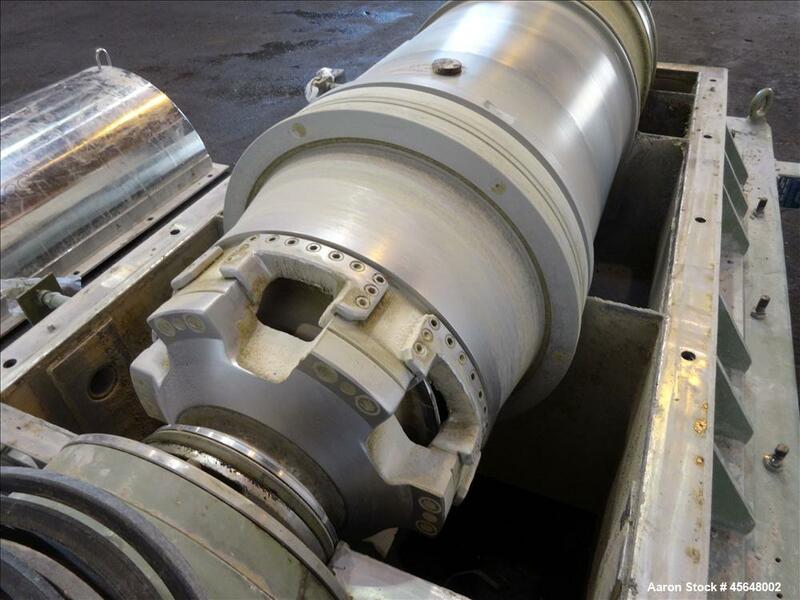 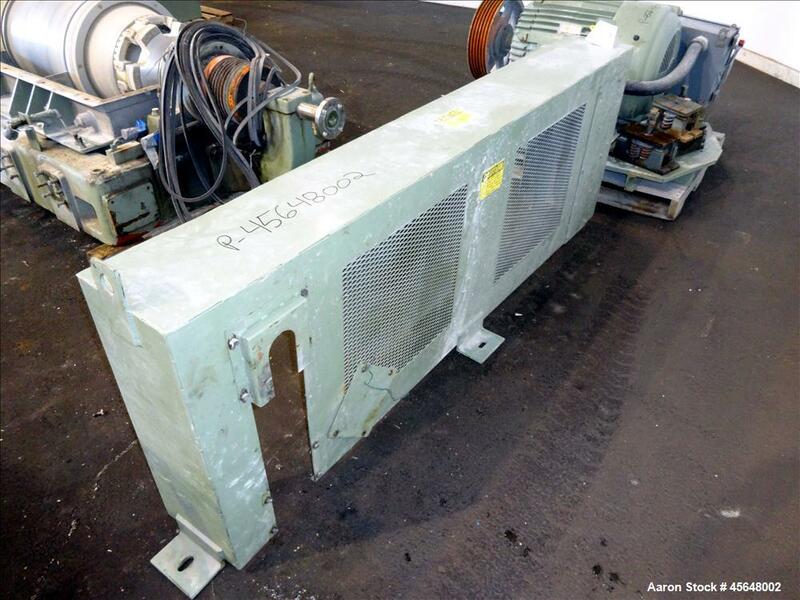 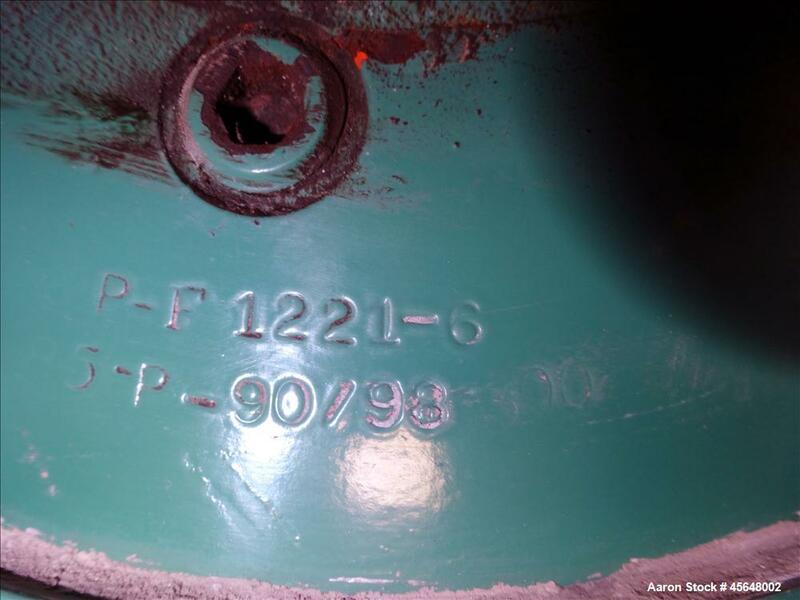 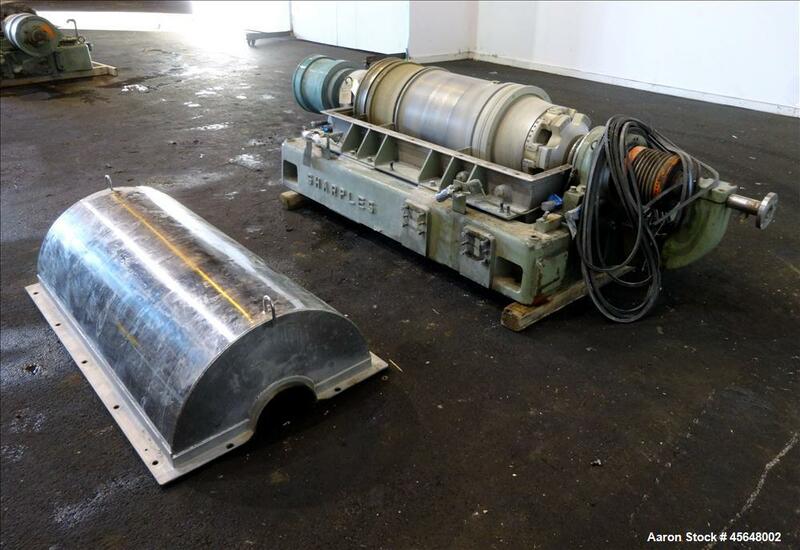 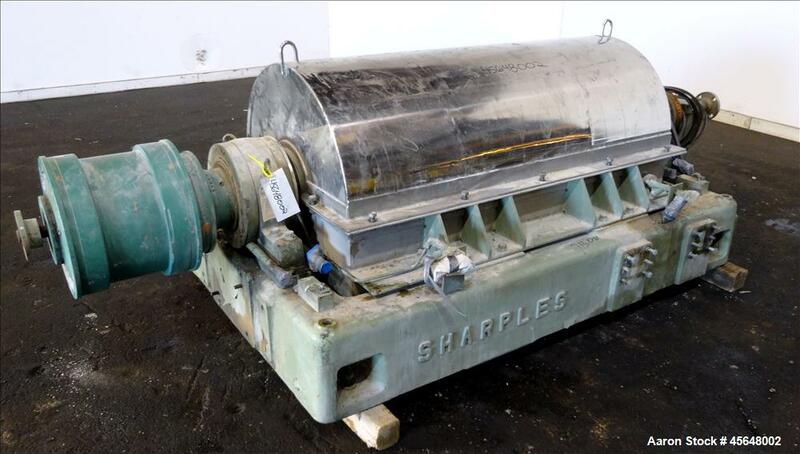 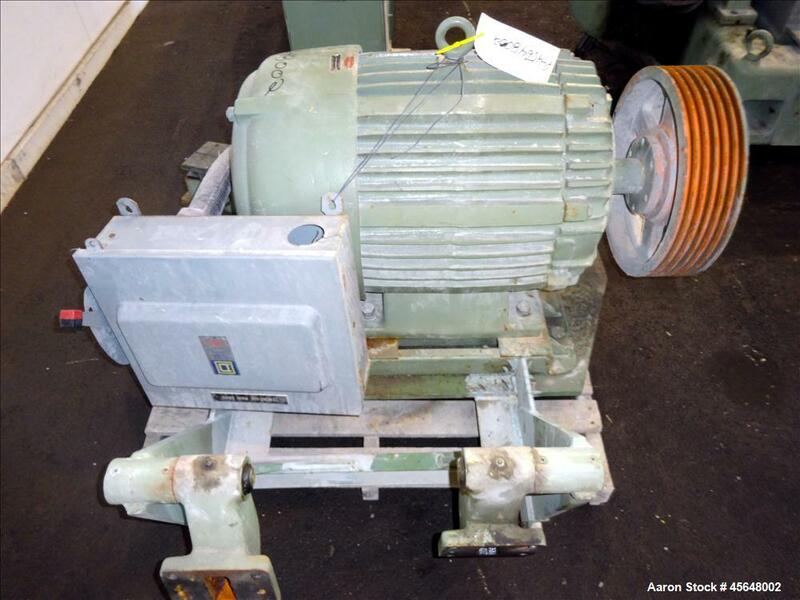 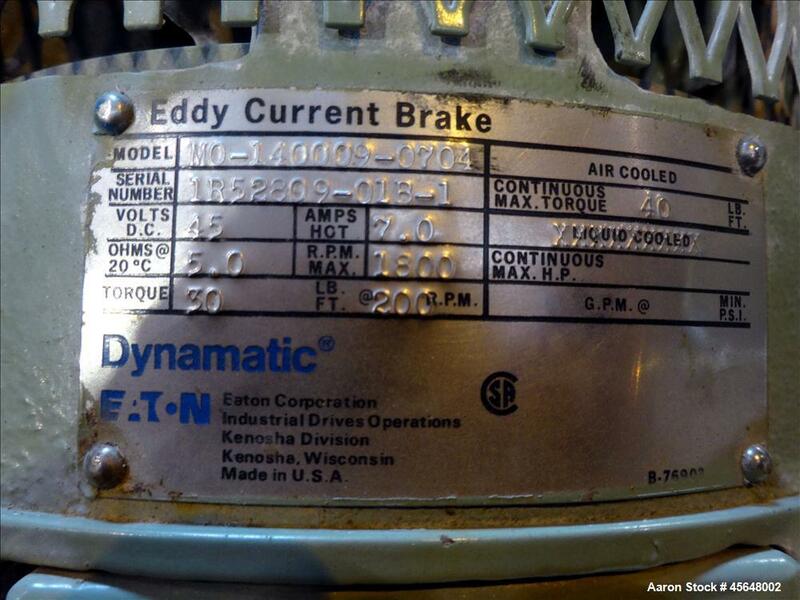 Used- Sharples PM-40000 (Same as a P-4600) Super-D-Canter Centrifuge. 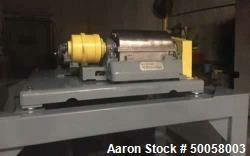 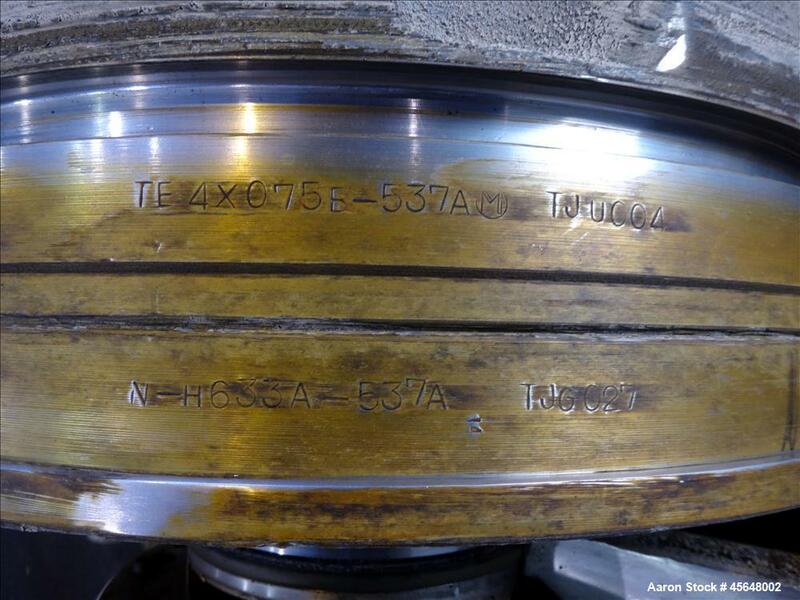 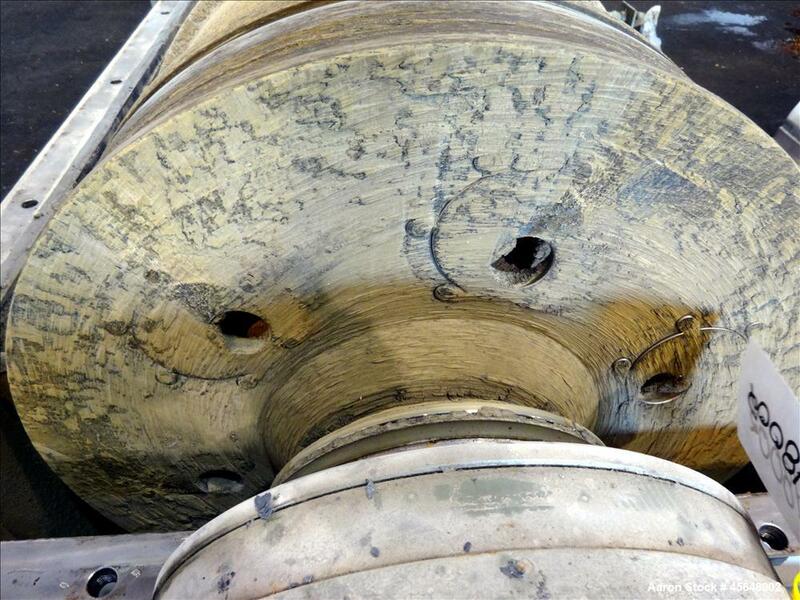 316 Stainless steel construction (product contact areas), maximum bowl speed 3350 rpm. 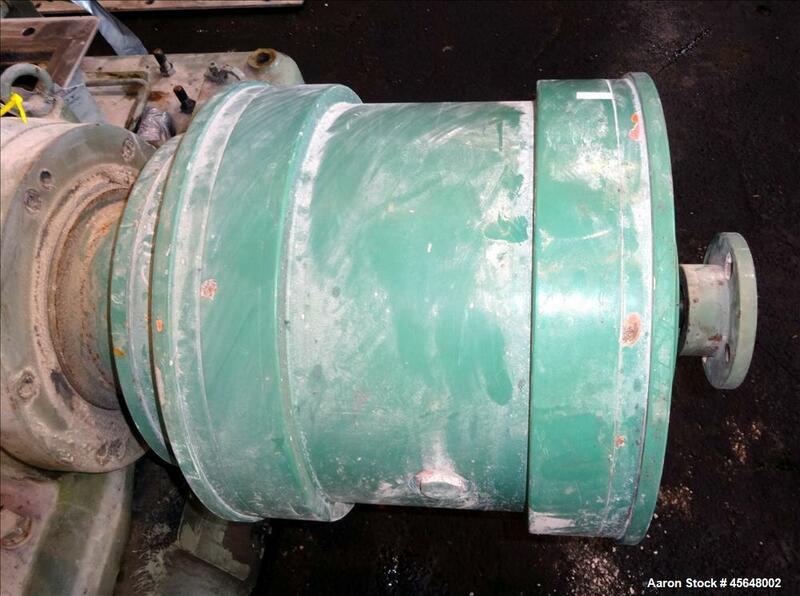 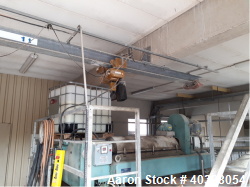 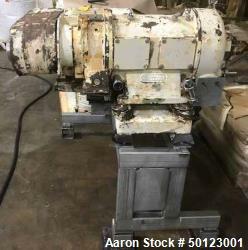 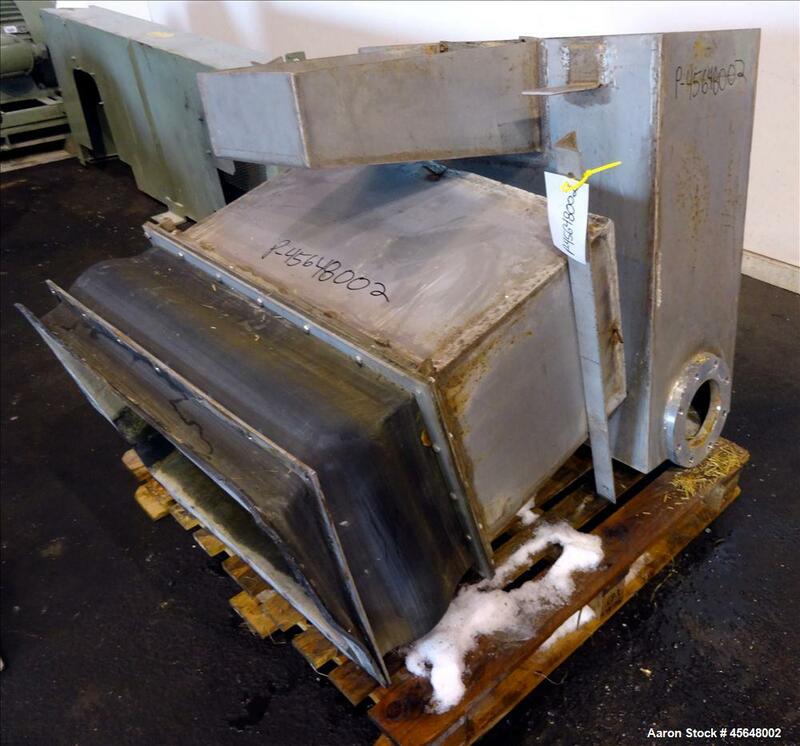 5.5" single lead conveyor with sintered tungsten carbide wear protection tiles, hogged-out cake discharge ports with replaceable wear liners, base, casing, feed pipe, P90 gearbox 98:1 ratio, main drive sub-base, 60 hp drive motor, 575/3/60, Eddy current backdrive, lube system, vibration isolators, safety guards, includes control panel with Danfoos electronic drive.